Every second counts. Each delay, bottleneck and unnecessary step reduces output and highlights the need for efficient workflow processes. McDonald’s has embraced the importance of managing processes, by ensuring that every second is accounted for in the making of each product. Service time is critical to McDonald’s success, as McDonald’s tries to increase customer satisfaction within the competitive fastfood industry. The plan to get food to customers quicker, and keep increasing the market share that McDonald’s won in the recession, means that each second really does matter. As part of McDonald’s ever-increasing process development, the company is testing a self-serve kiosk in Europe, which may prove popular with diners seeking to customize meals and limit their time in queues. The downside may be the time needed to read the screens of choices. McDonald’s Director of operations and POS technology, Laurie Gilbert, said that the system is easy to learn and may cut as much as 10 seconds off the current workflow. Approximately 5,000 restaurants out of the company’s 32,000 locations are trialling the new software. McDonald’s currently aims to serve most customers within 90 seconds of taking their order. In order to speed up times at drive-through windows, staff at the McDonald’s Innovation Centre spent years incorporating an automated soda fountain that fills cups as soon as an order is placed into the workflow. When this same crew discovered that hot drinks needed more milk, they added refrigerated storage below the McCafe coffee makers to speed up efficiency. These two improved services have led to the processing of as many as five extra cars per hour in the drive-through queue. The Innovation Centre has also redesigned an assembly area with three sides for staff to pack food into bags, while a new preparation table that holds 50 percent more burgers and chicken breasts is shaping up to be more energy efficient. The new preparation table also lifts the bread steamer to hip level so that workers avoid bending over for every order. Staff at the Innovation centre gather orders, productivity and performance data to ensure that tests mirror the real world as closely as possible, plus they track the food to see where bottlenecks are most likely to occur. Once these bottlenecks have been identified, issues are fixed and efficient and proven workflow procedures are put in place. 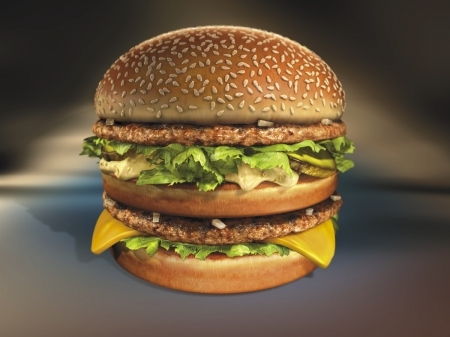 McDonald’s realises the key to creating customer satisfaction within their market niche: Fast service and fast food. Without detailed workflow processes, McDonald’s is unlikely to be able to maintain their position within the fastfood industry.